The past two apartments my fiancee and I shared together were two basement suites. One had mold and the other had rats, but that aside they were okay. Some basement suites are "raised" and others have ample window space. Living in a basement apartment wasn't something I bragged about but now I do not see any shame in it. They are cheaper than above-ground apartments for the same square footage. With the extra money, I can go shopping, save or treat my adopted dog. 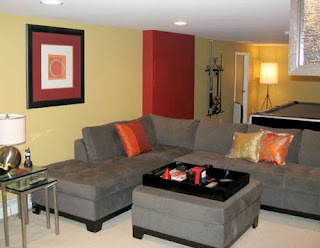 I was perusing through some websites and found very chic basement apartments decorated in Chicago and Hong Kong. 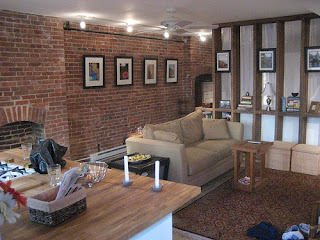 These places had amazing decor and lay outs and they did so much in a basement apartment. Your usually judgments on basement suites were thrown right out the window. Could a basement apartment really look that good? Yes, with the right usage of space and creative design. I think you could be imaginative and create a very cool area in a basement apartment. These images prove that. I would, however, like to advise to use a lot of light as natural light is scarce in a basement.